Philosophy/Mission: At Kiss My Biscuit, we go the extra mile when making our Biscuits by keeping our Barkery absolutely 100% Grain Free so there is no chance of cross contamination. We use only the freshest ingredients and each Biscuit only has three ingredients so your pet is getting the most flavor in every treat. Every Kiss My Biscuit Treat is made like it is for my own dogs. Claim to Fame/Signature Product or Service: At Kiss My Biscuit we work very hard to ensure that our treats are made from the finest human grade ingredients, all grown here in the United States. We use No Grain, No Corn, No Soy, No Salt, No Sugar, No Colors, No Chemicals and No Preservatives. Community Involvement, Special Notes: Our Biscuits are made with locally grown ingredients whenever possible. We get most of our produce from local Farmers Markets and when in season I pick the blueberries for our Blueberry Biscuits myself. We use Oregon cheese and Oregon-grown pumpkins. I make beef stock and peanut butter myself because commercial products have soy, salt and other chemicals that don’t belong in our pets. I only use Bob’s Red Mill Garbanzo Bean Flour. We donate product to a variety of organizations and local shelters. 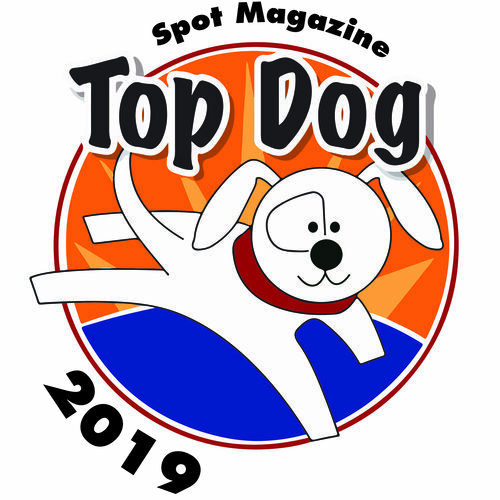 Posted in Top Dog Winner and tagged with Bakery.